Let's face it, it's not for single people. 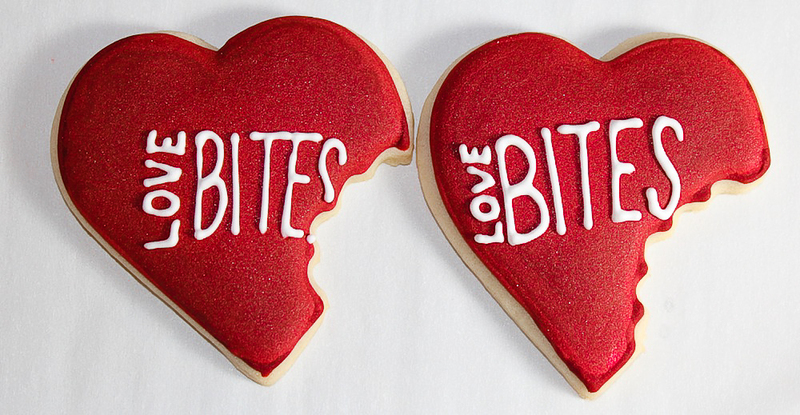 It's a holiday all about love. 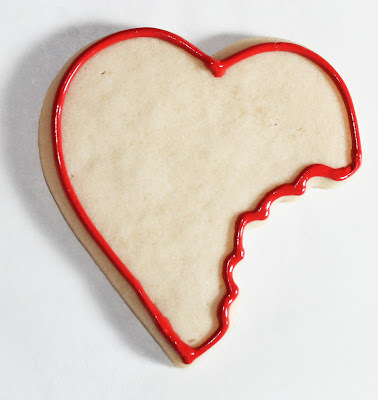 When I was single I hated Valentine's day. It was the most dreaded holiday. Everyone was talking about love, getting candy, flowers, jewelry....you name it. Leaves a single gal feeling quite ALONE! When your single LOVE BITES! Big time! 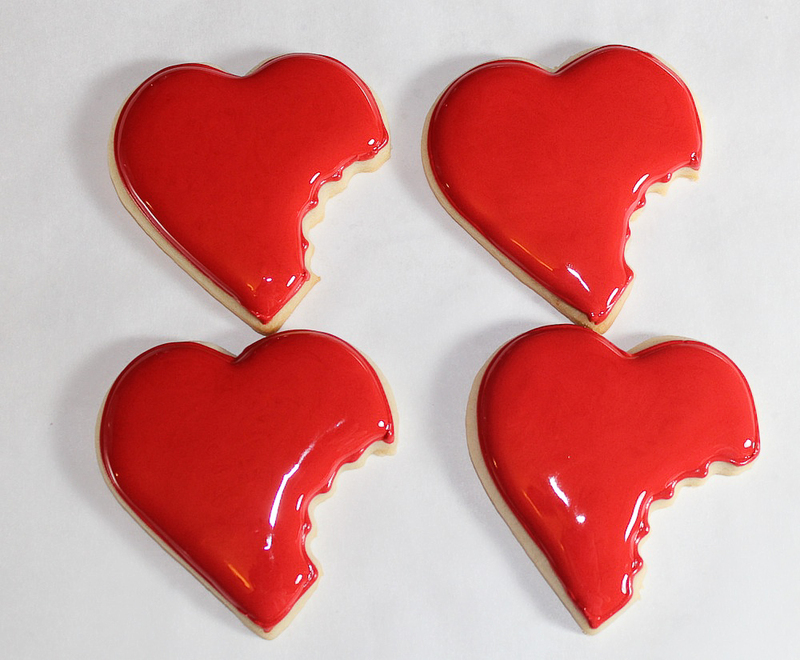 So I thought I would make some cookies for those of you out there that are single and feel that love does bite. Or maybe some of you just don't like Valentine's day. After all it is all about mushy gushy love stuff. 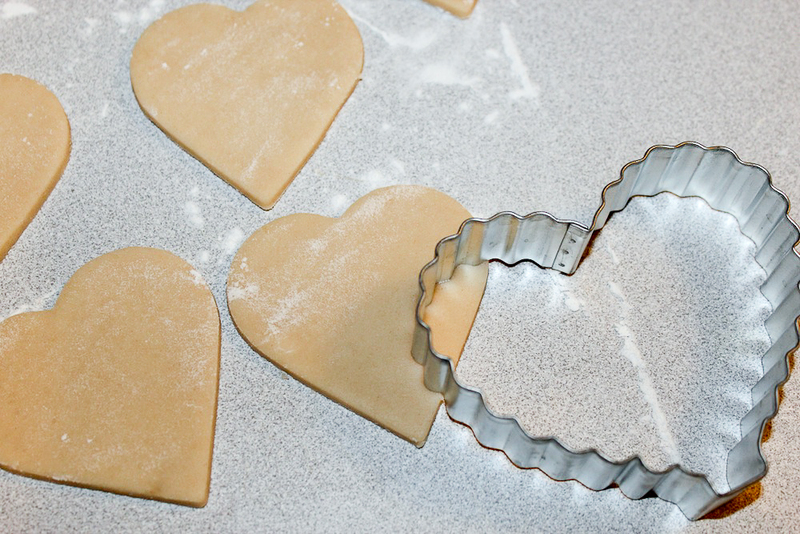 Roll out cookie dough and cut with a heart shaped cookie cutter. 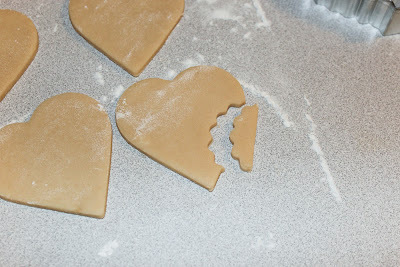 Next take a scalloped edged heart and cut a "bite" from the side of the heart. 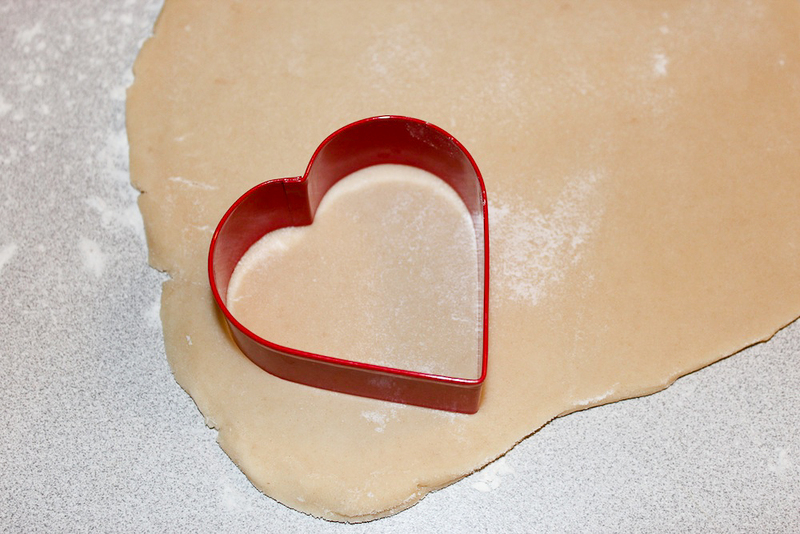 Remove tiny piece of dough. You will not need this. Bake your cookies at 375˚ for 10-12 min. 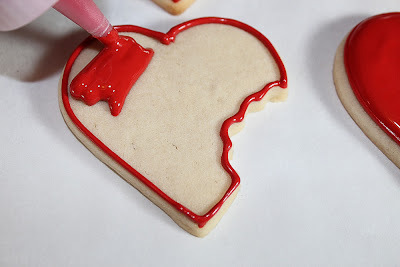 Next outline your cookie with red royal icing and a #2 tip. Allow to dry for about 15-30 minutes. Next with red flood icing, start filling in the cookie. After the heart is completely filled, be sure to pop any air bubbles with a toothpick or this yellow stick. Let cookie dry overnight. 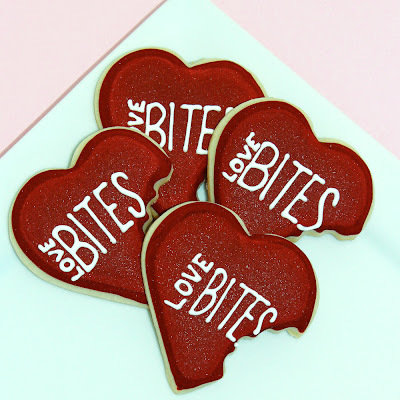 When cookie is completely dry, using a #1.5 PME tip and white royal icing, pipe LOVE BITES on the cookie. I use stiffer royal icing for this step so the letters don't run. it was bitten off. After the words are piped, let dry for a few hours. If you wanted a cute idea for a boy's valentine's, You can add a crocodile cookie. 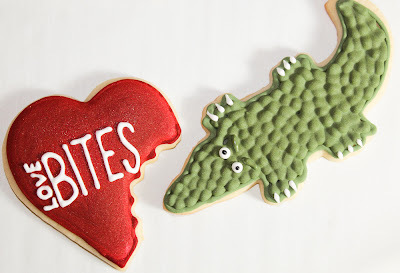 Wanna know how to make the Crocodile? Come back tomorrow and I'll have a tutorial on how to make him. He's really easy to make. What an adorable idea! Love these! Thanks for following. I love Valentine's day too.